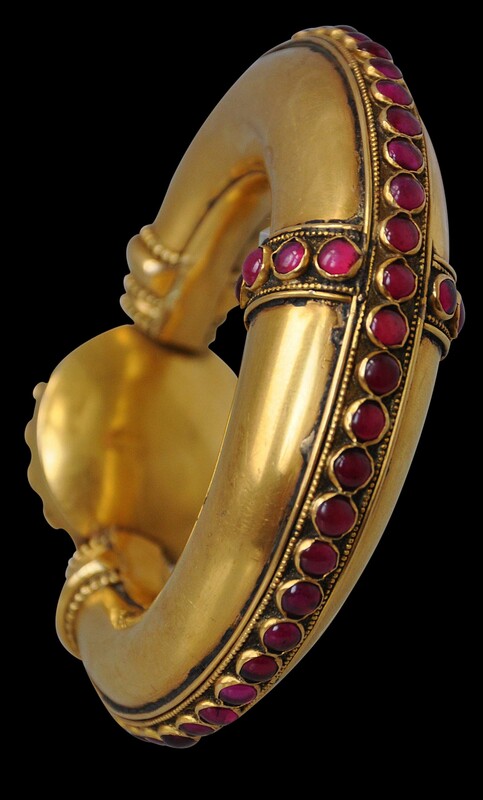 This magnificent bracelet is fashioned from thick, solid gold sheet, and set with 66 large cabochon rubies. 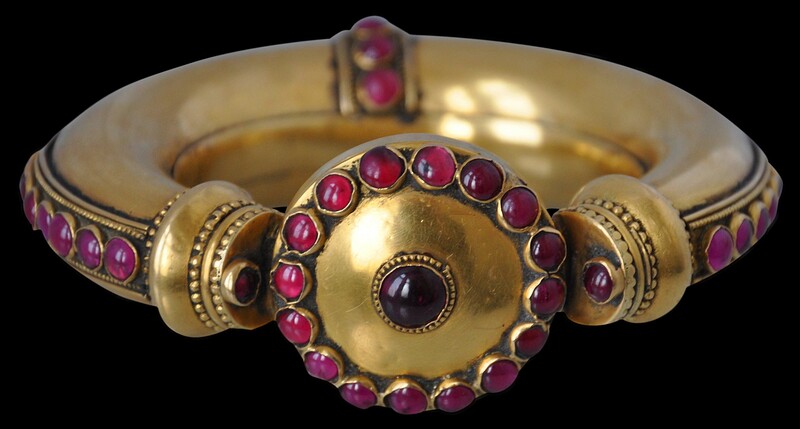 The contrast between the luscious, caviar-like rubies and the simplicity of the gold is stark and striking. The bracelet is at its thickest directly opposite the central boss which is set with a central ruby surrounded by an outer ring of rubies. 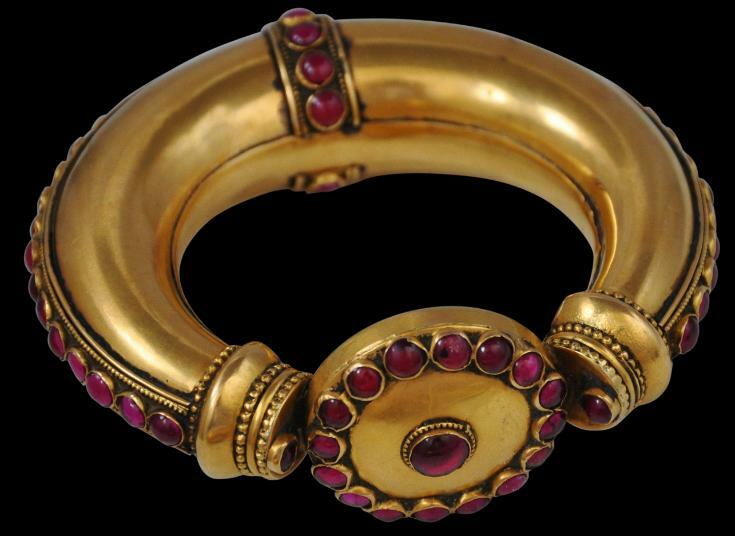 The outer-side of the hoop of the bracelet has a central, raised strip running around it which is set with a row of rubies. The widest part of the bracelet hoop similarly has a vertical band that is set with further rubies. These bands are further decorated with applied pearled gold strips. 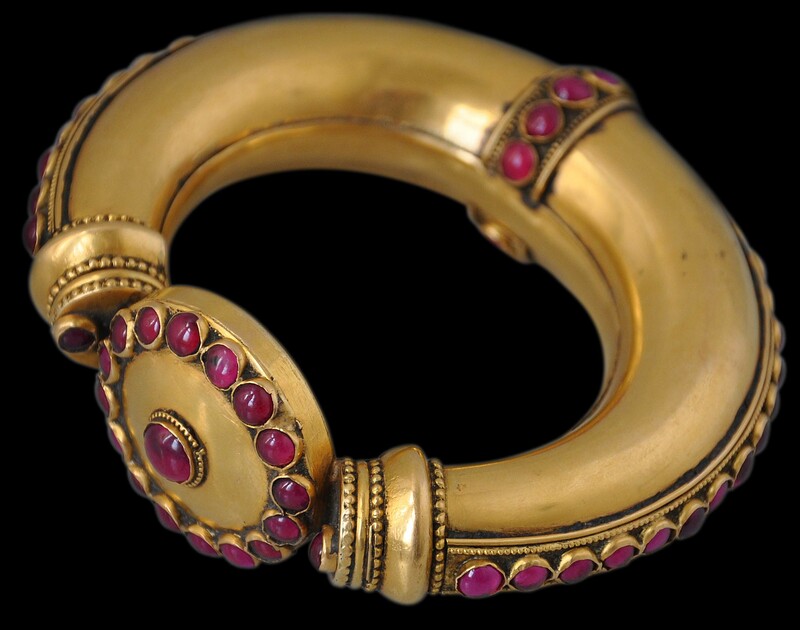 Probably from south India, the form also is reminiscent of ruby-set gold bangles from Ava in Burma. The bracelet is particularly heavy in the hand. 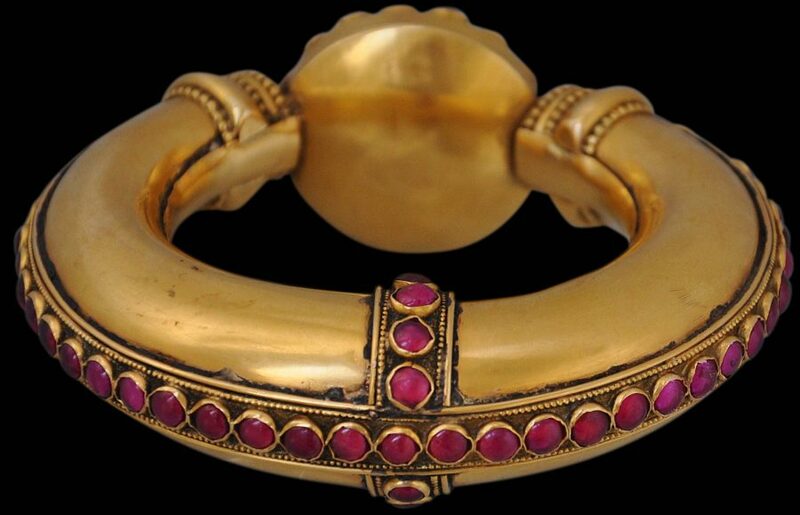 It is not clear if the bracelet is filled – in any event, the sheet gold used is noticeably thick and robust and the weight of the bracelet might simply be accounted for by the thickness of the gold used. The bracelet is in an excellent, stable condition. It has a fine patina and obvious age. Overall, this is a splendid, large piece. Holbein Hendley, T., ‘Indian Jewellery’, The Journal of Indian Art, 1909.